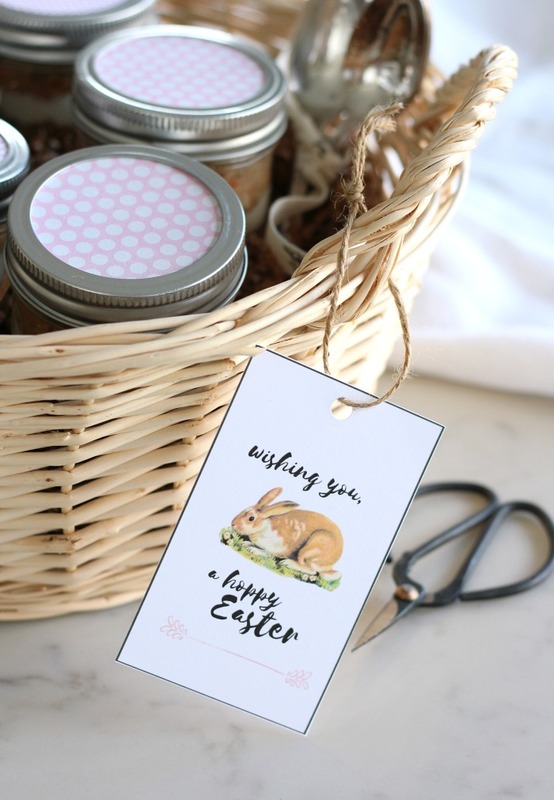 These Easter printable gift tags are a fun and easy way to finish off your Easter baskets or gifts. 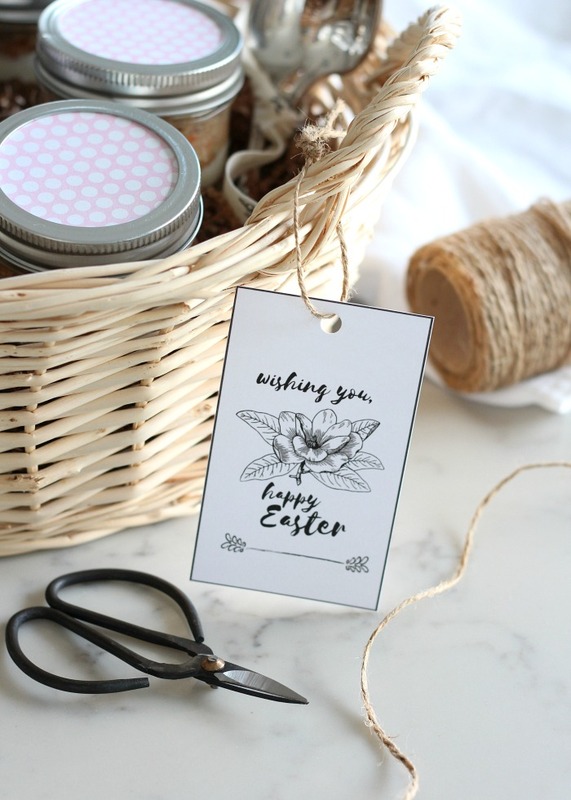 Choose from two styles, hoppy Easter bunny or simple lily. 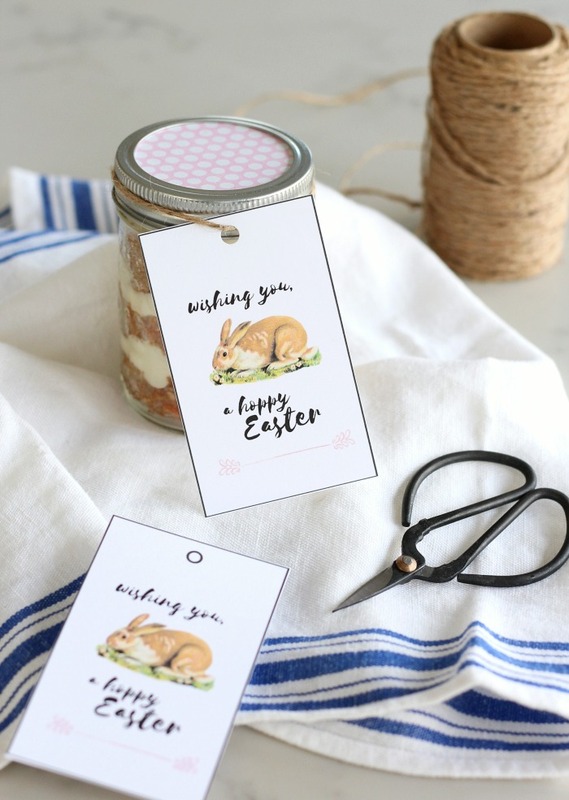 I’m back today with another look at the fun Hoppy Easter printable gift tags I shared yesterday along with those yummy carrot cake jars. I also added one more option for those of you who prefer simple black and white. 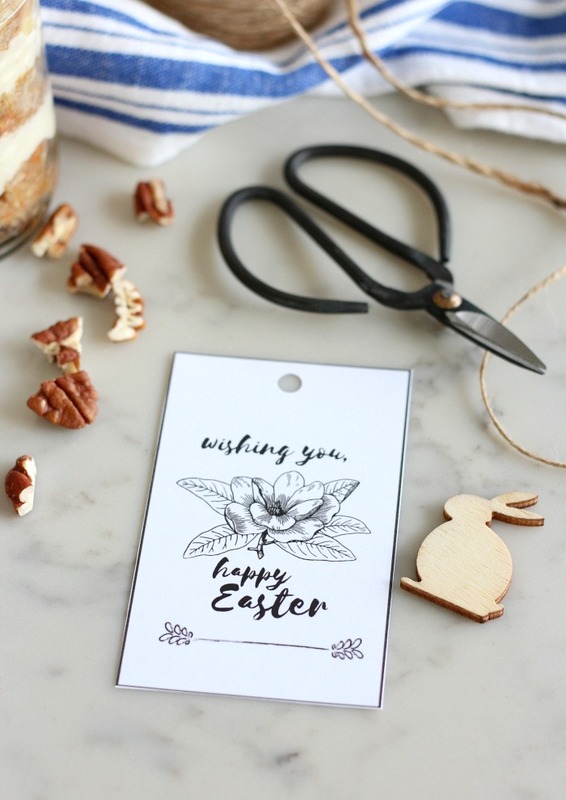 If you’re putting together Easter baskets or hostess gifts, these printable gift tags are the perfect way to add a personal touch. 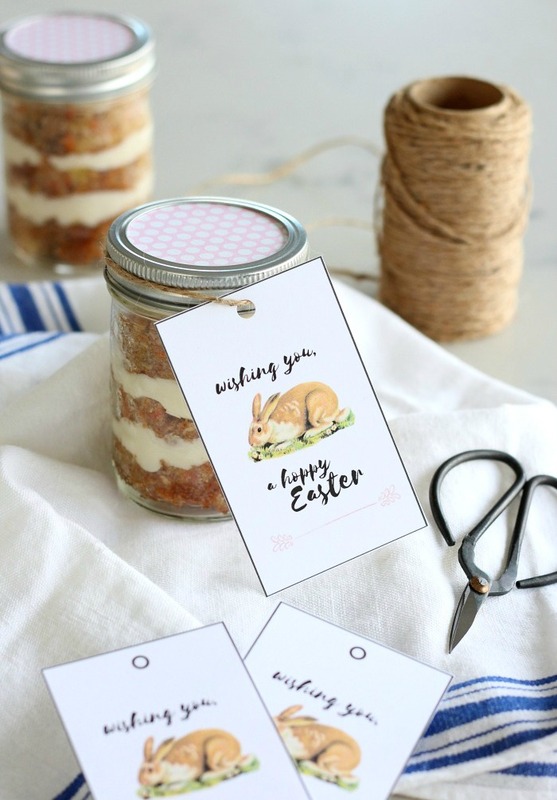 Of course, the bunny tag is a good fit for my “bunny approved” carrot cake jars. Put your hand up if you want one. Every single bite is so darn good! 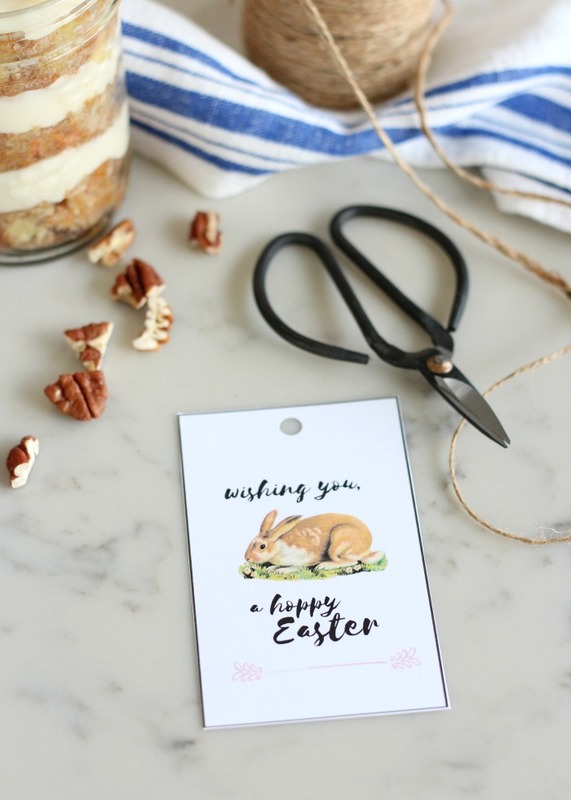 You could also print the tags in simple black and white, but the pastel colours are Easter classics. So lovely for springtime! Perhaps a better option for the grown ups on your Easter list. I think these tags would also look sweet tied to an Easter flower arrangement similar to my summer bouquet idea. I’d be happy with either. Prefer one or the other? 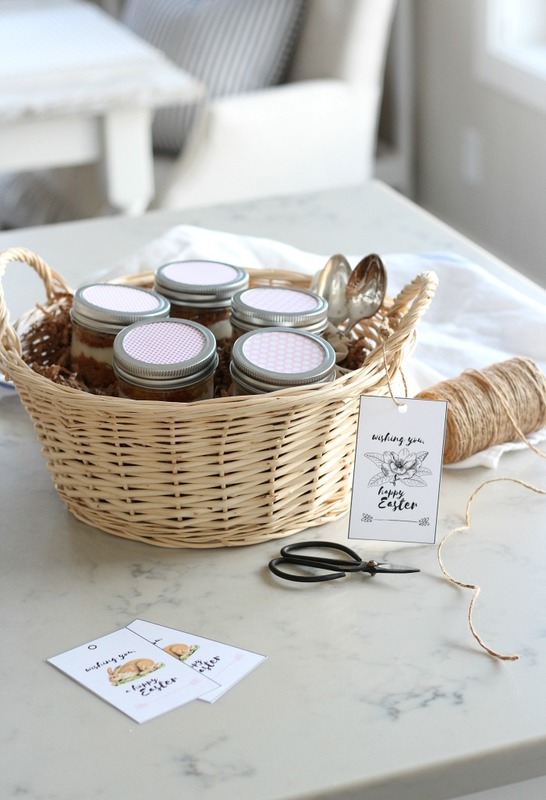 Simply print on card stock, cut out, attach with some string or pretty ribbon, and you’re done. 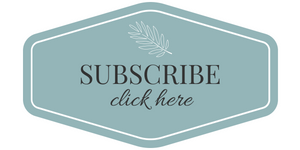 Super quick and inexpensive! Printing Tip: Use card stock paper and highest quality setting on your printer for best results. Note: Bunny for tag found at The Graphics Fairy.